Modern electric fireplaces are energy efficient, so your bill will be far lower than you may have experienced in the past. 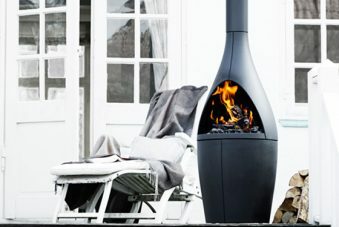 They can be designed to look and sound like conventional fireplaces, complete with burning media and calming crackles. They’re also low on carbon emissions. 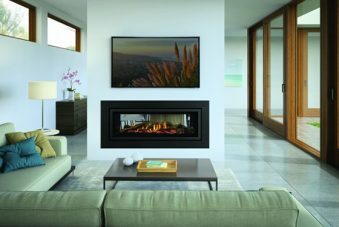 We only source our electric fireplaces for our Sydney customers from trusted brands. Our Dimplex models are all freestanding units while our Gazcos are largely in-built. When you love the look of a hearth but don’t want to build one, you can opt for a portable unit designed to mimic your mantel. A perfect sample is the Dimplex Opti Myst Alameda 3D Electric Fire. This remote-controlled unit uses Opti Myst technology to build the illusions of realistic smoke and flames rising out of an artificial bed of logs. The firebox is made of false brick, and the whole unit is lightweight for easy relocation around the house. It has its own thermostat, and if you want to stay warm at night without the light keeping you awake, you can turn up the heat while the flames are off. Similarly, you can watch a ‘cold fire’ display. It’s useful when you want a romantic atmosphere but are too hot and bothered to raise the temperature any further. Just turn down the heat setting and watch the smoke and flames. The Alameds gives of 2kW of heat and has two settings. Style shorthand suggests chrome, stainless steel, or glossy metal is modern. Contemporary style is clean, low-fuss, and linear. At the other extreme, curvy cast iron and wood deliver rustic associations. Some designers combine both in a curious way. Dimplex Lee Silver Electric Fire does this effectively. New-school castors make it easy to move your fire around, and you can use it in the office too because they match the wheels on swivel seats. The burning media uses cosy logs for traditional appeal, but the finish is neo-facing silver. 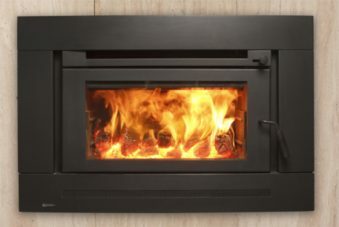 The heater can produce 2kW of heat, and you can work the flames and firelight separately. The opti-flame technology uses energy-saving LED to produce an authentic-looking flame. Your Dimplex electric heaters have a warranty of two years, and because its dimensions are on the smaller side, you can take it camping with you (if your campsite has access to electricity, or if you have a solar lamp with sockets and charging ports). To find electric heaters suitable for massive rooms, call Hawkesbury Heating today on (02) 4571 2295.